We are glad to know you are interested in visiting Texas A&M University- Commerce! Planning any kind of group field trip has its own special challenges. 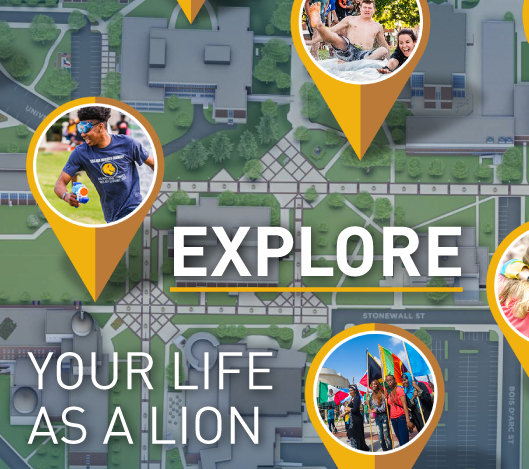 We are here to help you plan a trip that will be rewarded with an excellent experience on our campus. Advance registration is required. Currently, we offer four different tour packages designed to meet the needs of middle school, high school, and college aged groups Group visits are only offered Tuesday through Friday throughout the fall and spring semester. Depending on the tour package you choose your start time will vary. Regular group visits are limited to 50 participants. Special arrangements may be made for groups as large as 75 participants but please keep in mind that some activities and resources will not be available due to space limitations and staffing. To ensure the best possible experience for your group we do ask that all requests be made no less than four weeks in advance. Note: Your tour has not been scheduled unless you complete and sign a visit contract and receive an email confirmation. If you do not receive a confirmation, please email us at CampusVisits@tamuc.edu. An Important Note: Group tour visitors must make prior arrangements to eat lunch in the cafeteria. Lunch arrangements are made during the registration process and must be made directly with Sodexo by the visiting group organizer. Our Dining hall in the Sam Rayburn Student Center can provide lunch arrangements for your visit. If your group is not interested in having lunch on campus through Sam Rayburn Student Center dining services, please feel free to bring sack lunches or eat off campus. If you have additional questions or concerns please feel free to contact us at CampusVisits@tamuc.edu. To reserve your group tour, please email us at CampusVisits@tamuc.edu!